This afternoon, the same issue that happened on last Thursday happened again today with the MoviePass app showing that there are "no more screenings at this theater" at locations where the MoviePass card needs to be used to buy the tickets. E-tickets are still being accepted. When this happened last week, MoviePass blamed technical difficulties, but that was shown to be a lie. The subsequent SEC filing announcing the Demand Note revealed that it was lack of money, not a tech problem, that left some subscribers stranded at the box office last Thursday. And that is occurring again today. And if that wasn't enough to get paid up MoviePlus subscribers feeling as though they had stuffed their faces with a tub of popcorn mixed with M&M's, CEO Mitch Lowe reportedly held a meeting with employees today during which he said that the service will no longer support major releases. In particular, he was alleged to have mentioned Disney's upcoming "Christopher Robin" as a film that MoviePass members will not be allowed to see using the app. 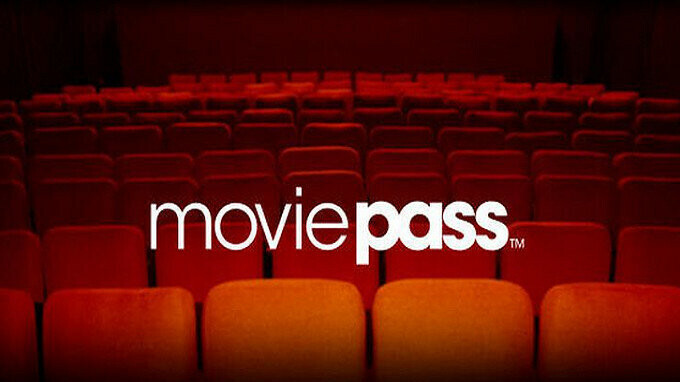 MoviePass charges $9.95 a month and members can see one 2D movie a day. But you don't have to be a genius to see that this business model will result in overflowing red ink. During the past weekend, the app refused to allow subscribers to get tickets for the new "Mission Impossible" film. And with Surge pricing forcing members to pay $8 per ticket extra during crowded showtimes, even for films that have been out for several weeks, there doesn't seem to be much of a future here. And Wall Street agrees. Despite a recent 1-for-250 reverse split, the shares of MoviePass' parent company Helios and Matheson Analytics Inc.closed today at 80 cents, down 60% or $1.20. I'm actually upset that I never heard of this company until today. I would have definitely subscribed to it. But now I'm like what for of it's not going to work. This could have been amazing. But I don't think AMC wanted any of us to know about it. I'd heard about it but felt it was too good to be true. Alas, I'm not in the prime movie going demographic any longer but was initially intrigued by the idea. That being stated, I am sympathetic to the woes of everyone involved. Oddly enough, Blockbuster Video tried a movie pass, briefly, in the early 2000s when DVDs were brand new and I actually subscribed to that until they scrapped it. For a few months in 2002 we were watching at least one movie every night. Of course, now, anyone can do this with anyone of several subscription services which put everything at one's fingertips.